House roofs should be able to take a visit from Santa. NCC has demonstrated this by way of a unique calculation. But there are many uncertainties. For example, Santa can’t have all of the world’s parcels with him at one time. That is when things could go wrong. “In that case, the house would probably be flattened to the ground,” says NCC’s expert, Construction Designer Thomas Lechner from NCC Teknik. In recent days, Thomas Lechner has been delving into one of the world’s mysteries. How can Santa Claus land on rooftops year after year without breaking through them? The question is justified because a seriously overweight man with eight reindeer and a well-filled sleigh probably weighs close to 1.5 tons. “The calculation is based on some non-verifiable facts. I have worked out that Santa weighs about 150 kilos, the sleigh weighs 140 kilos, the reindeer 960 kilos and the sack of presents 50 kilos. In this case it should be fine, provided the house has a tiled roof and meets building standards,” says Thomas Lechner. A disastrous scenario would play out if Santa took all of the presents as a single load. According to NCC’s calculations, based on 0.1 kilo per present to 2 billion children, as well as 5,000 tons of jute cloth, the sack would weigh about 200,000 tons and be 50 meters high. The pressure on the roof would be 2.0 MPa (megapascals). This is the maximum recommended pressure for building on granite rock. Under this sort of pressure, a Swedish house would be about as strong as paper. “We hope that Santa has given this some thought. At NCC, we have made the assumption that he probably has Christmas present depots in strategic locations,” says Thomas Lechner. Also, the angle, Santa’s speed and the amount of snow on the rooftop will affect the outcome. NCC has factored in 50 percent extra pressure from the dynamic effect of landing, half a meter of snow cover and a roof angle of 25 degrees. If the roof has a greater angle, the sleigh will slide off. However, Thomas Lechner also has his own very private theory on how Santa Claus succeeds every year without breaking through any roofs. “I tried to make the calculation based on Santa not being subject to the laws of physics. A scientific approach is the only acceptable way. But it is clear as day that he has access to some sort of Christmas magic. If Santa exists, then this is the only reasonable assumption. 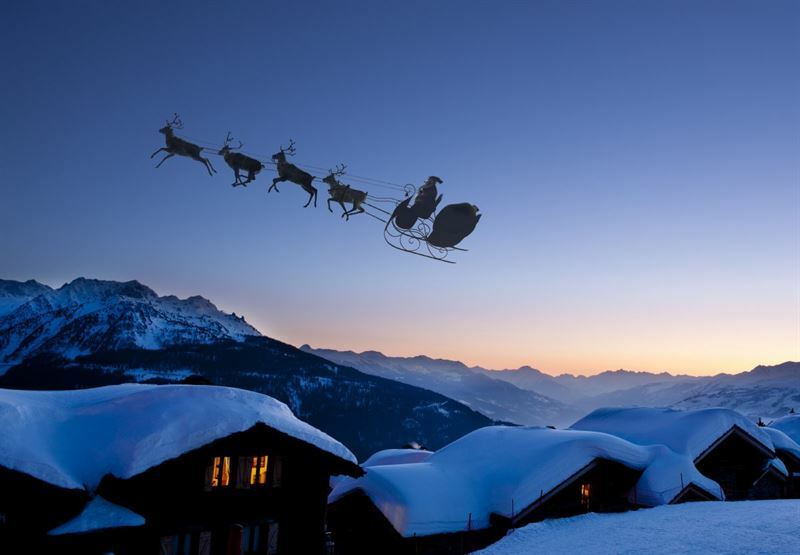 But my conclusion is that Santa Claus can come this year, too,” says Thomas Lechner. About NCC. Our vision is to renew our industry and provide superior sustainable solutions. NCC is one of the leading companies in construction, infrastructure and property development in the Nordic region, with sales of SEK 53 billion and 17,000 employees in 2016. The NCC share is listed on Nasdaq Stockholm.